A "gimmie" (or "gimme putt") is a putt so short a golfer considers it unmissable, so just picks it up and counts it as holed. 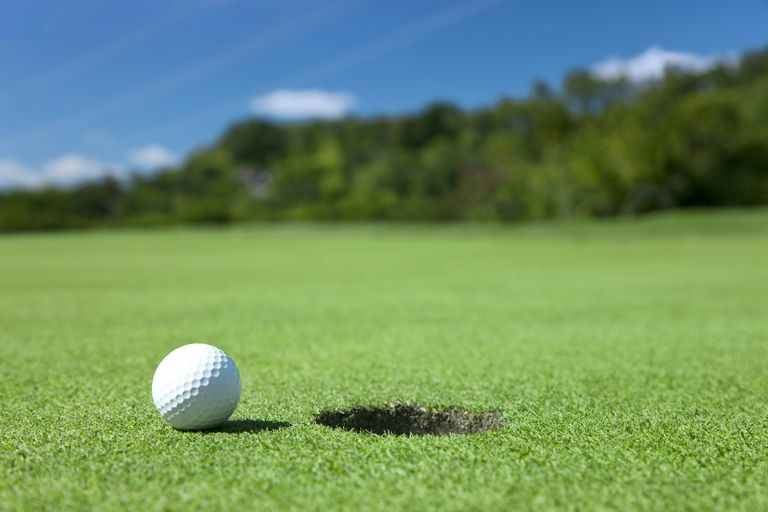 To be more precise: A gimmie putt is one that a player requests be conceded by another player, allowing the first player to pick up and move on as if the putt had been holed. A gimmie, or "gimme putt," is a putt so short that you feel it is unmissable, so you ask another golfer to "give me" that putt — to allow you to count it as made without actually putting it. Gimmies are illegal under the Rules of Golf. Therefore, they exist only informally, most commonly seen in recreational rounds of golf or other rounds among friends. Gimmies and conceded putts, which are covered under the Rules of Golf, are not the same thing. "Gimmie," which is also frequently spelled "gimme," derives from "give me," as in, "Will you give me that putt?" The term arose in the United States and was chiefly an American expression until televised golf spread the word around the world. The Historical Dictionary of Golfing Terms cites one usage from 1929, so the word has been around at least that long among golfers. Here's a very important point about gimme putts: They are not allowed under the rules. Gimmies cannot be used in any round of golf played under The Rules of Golf, at least not by golfers who want to claim they are abiding by the rules. A golfer who does claim a gimmie in a round of golf played under the rules — a tournament round, a handicap round, any round in which golfers are supposed to be abiding by the rulebook — is actually committing a penalty. Many recreational golfers play using gimmies for any short putt. The unofficial standard governing what length of putt is OK to treat as a gimmie is "inside the leather" — that is, if a golf ball is closer to the hole than the distance from your putter head to the bottom of the putter grip when laid flat on the green, it's a gimmie and you can pick up. The key word there is "unofficial," because gimmies are never allowed under the official rules. It's easy to abuse the gimme putt, though. Most golfers who play with gimmies don't actually measure "inside the leather," they just eyeball the putt length. And it's easy for the length of gimmies to keep creeping upward, so that what a golfer claims as a gimmie gets longer and longer as the round goes on. In that way, gimme putts can become crutches relied on by poor putters who don't have the confidence to putt out the short ones. Many golf instructors consider gimmies counterproductive to good putting: You need to see and hear that ball dropping into the cup to build confidence. Using gimmies undercuts that. Gimmies do speed up play on the greens, however, and if your recreational group agrees among its members to use them, go for it. Just remember: You cannot, under any circumstances, use gimmies in any competition played under the official Rules of Golf (including rounds posted for handicaps). 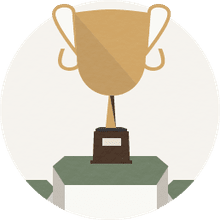 The main difference between gimmies and conceded putts is this: Conceded putts are covered in the Rules of Golf and exist as a sanctioned part of match play; gimmies are not, and do not. Conceded putts are ones that, in a match play setting, your opponent tells you to count as made, and pick up your golf ball. A golfer cannot ask his opponent to concede a putt, a concession can only be granted. And concessions are made only in match play, not stroke play. You can think of gimme putts as the unofficial, unsanctioned (by the Rules) stroke-play counterpart to match play's conceded putts. Oops! You Tried to Make a Conceded Putt and Missed - What Now? What Does 'Inside the Leather' Mean in Golf? Know What Medal Play Is In Golf? You Deserve a Medal!